A father's love is an amazing kind of thing, because sometimes we do not always get to see it. 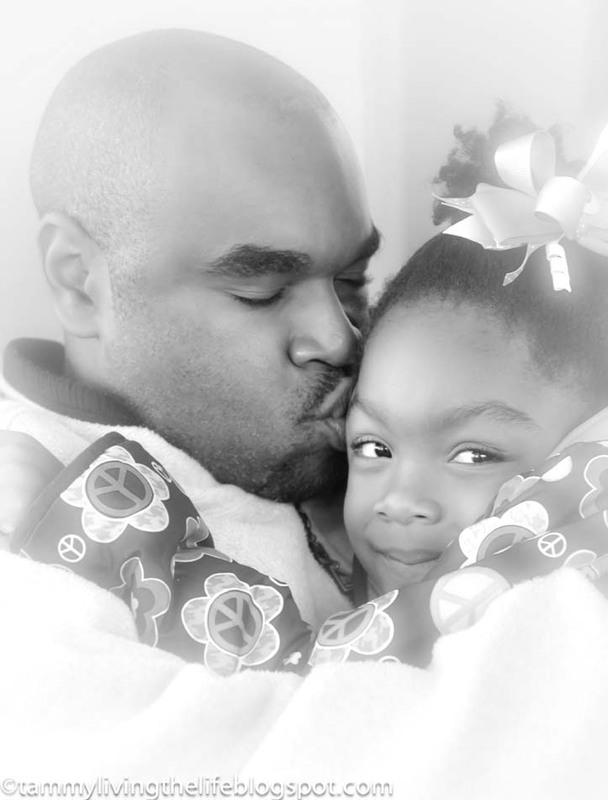 Here is a sweet moment between my husband and daughter. I took this photo back in November. I entered this photo in this week iheartfaces photo challenge: Hugs and Kisses. So sweet! Love father/daughter relationships. Love this. Nice job. Love that look on her face!